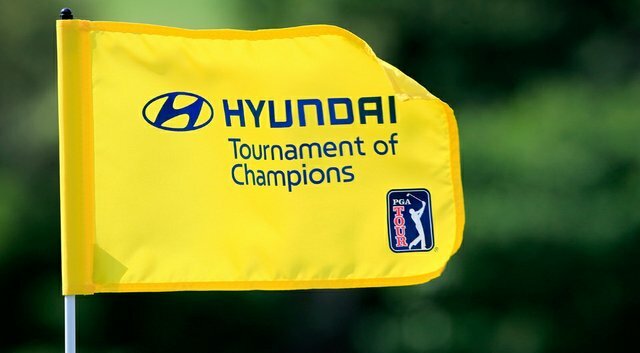 After a short break the first PGA tour event of 2015 is upon us in the form of the Hyundai Tournament of Champions. The event was founded in 1953 and it is restricted to players who won a PGA tournament during the previous year, therefore the field is a relatively strong one although it consists of just 34 players. The current Masters champion Bubba Watson is the favourite to win in Hawaii this week at a short price of 7/1 and the talented Australian Jason Day isn’t too far behind him at 9/1. Since 1999 the stunning Plantation Course at the Kapalua Resort in Hawaii has hosted the Hyundai Tournament of Champions and the event has been won by some top players including Tiger Woods, and Sergio Garcia. The course is a par 73 that plays 7411 yards and features just three par 3’s, it’s a relatively easy track and previous scores back this up. Last year Zach Johnson won this event and shot 19 under par in doing so, whilst scores of 20 under par and lower have been common over the past few years. So what does it take to win around the Plantation Course? The fairways maybe wide which favours the bombers however a good short game and a hot putter is far more important in my opinion, the greens are huge and have plenty of undulations therefore putting is key as Steve Striker and Zach Johnson have proved over recent years. Patrick Reed – This selection is all about the price, I was pleasantly surprised to see Patrick Reed priced at 25/1 to win in Hawaii this week given his excellent performances during the Ryder Cup. The young American has won three events on the PGA Tour over the past couple of years therefore I can see no reason why Reed can’t win an event that contains just 34 players. The fairways are wide around the Plantation Course which will benefit Reed who is a bit wild off the tee admittedly. The courses main defence is the huge undulating greens, thus meaning a good performance with the putter is key this week and Reed is a pretty good putter. During the 2014 season he was ranked 51st on the PGA Tour in terms of strokes gained putting. Sang-Moon Bae – Another player’s price which is seemingly too long is Sang-Moon Bae at 66/1, the bookies seem to have forgot how well he played towards the end of 2014. In October he won his second PGA Tour title the Frys.com Open despite a poor final round and in the following month he finished 5th in the CIMB Classic which proves that the victory was no fluke. As I’ve mentioned in my Patrick Reed selection the greens are huge at the Plantation Course therefore a good week with the putter is essential and Sang-Moon Bae is a decent putter, last season he was ranked 18th in terms of strokes gained putting. In a 34 man field at 66/1 I am more than happy to back Sang-Moon Bae to win his third PGA Tour title.